We’re Washington Energy Services—you know we have to talk about energy efficiency! Smart home technology allows products and appliances to operate using the lowest amount of energy possible. The Bryant Housewise™ Wi-Fi® Thermostat is a great example, as it completely manages and assesses your home’s heating and cooling settings to operate at the highest level of comfort and efficiency. The Rheem EcoNet™ system takes it one step further by throwing water heating into the mix. Instead of heating and reheating water that you don’t need, you can simply adjust your water heater’s operation and temperature based on usage. For instance, you can schedule it to turn off during a vacation or lower the water temperature during the summer. We don’t need to remind you that our smartphones are our portal to… well, pretty much everything. And now, they can act as the remote control to your home. Set your thermostat from the road to return to a cozy warm house, turn your lights on and off from another room, and crank up the volume on your latest Netflix obsession without leaving the couch. Several systems also feature a sleek system hub to access on your wall, such as the Nest Thermostat or the Bryant Evolution® Connex™ system. No matter where you are, your home’s comfort and operation are at your fingertips. The total control of your home’s comfort, appliances, and electronics combined with the overarching energy efficiency of smart systems equate to cost savings. In fact, according to the US Environmental Protection Agency, homeowners that employ smart home technology for thermostat control can save ten to thirty percent on their energy bill. If you take a look at your yearly energy bill and multiply that over two, five, or even ten years, the savings become staggering. There are so many awesome products that contribute to a smart home—stay tuned to our next blog post where we’ll dive deeper into smart home products and their futuristic features. But first things first: products don’t last forever. As your home’s comfort systems get older, they become inefficient and costly. That’s why for a limited time (Until 11/30/2015) you can trade in your old heating and cooling systems, windows, siding, tankless water heaters, generators, and gas fireplaces for 20% off replacements and installation from Washington Energy Services. Not sure if it’s time to replace your aging item? Here are a few tips. Furnaces, heat pumps, and central air conditioners can vary in life expectancy, but 15 years is standard. Keep in mind that as your heating or cooling system gets older, the energy efficiency can decrease dramatically. In fact, aging heating and cooling systems can cause a 15-30% increase in your utility bills. If you’ve noticed your bills creeping ever-higher, consider replacing your clunker with an energy efficient option from Washington Energy. Our furnaces, heat pumps, and air conditioners make economic sense—especially with 20% off and free removal of your old system. Dealing with windows that are consistently drafty, covered in condensation, or leaking? Now is the time to replace them. While the average life span of windows varies depending on material types (vinyl, aluminum, wood, etc. 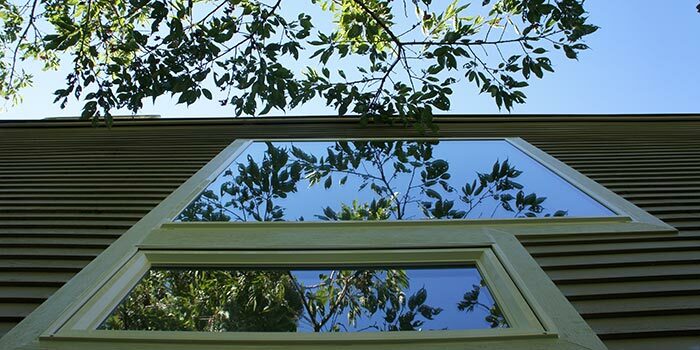 ), replacing your windows with an energy efficient solution will not only save on energy costs—it can greatly reduce maintenance and improve the beauty and curb appeal of your home. With cost effective vinyl windows, eco-conscious composite windows, and elegant wood window options, WES has the vast selection and installation expertise you need to start enjoying your windows again. 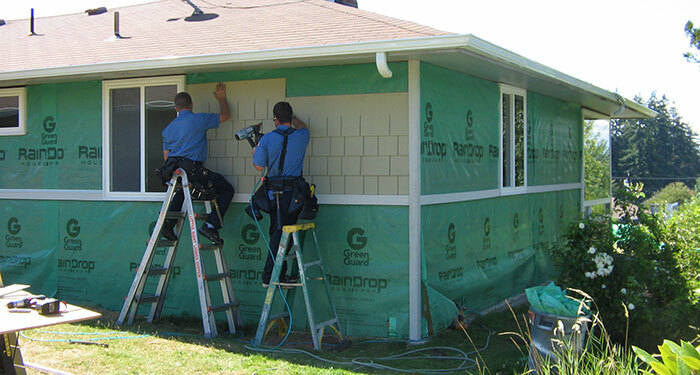 Nothing protects your home to the same degree as siding. Siding failures can result in water damage, rot, mold, and more. If you see widespread cracking, warping, fading or rotting in your siding, it’s time for it to go. Protect your home with James Hardie fiber cement siding—the #1 siding used by residential markets in America. Or consider low maintenance composite vinyl siding. With an incredibly long life expectancy, a variety of styles and colors, and premier installation from Washington Energy Services—all at 20% off—replacing your siding couldn’t be simpler or timelier. Winter is a time that you do want to find yourself in hot water. With an average life span of 8-12 years, water heaters are one of the most common home improvement investments. If your water heater just isn’t cutting it, it’s time to trade in and trade up to an energy efficient tankless water heater from WES. Our tankless water heaters provide endless hot water and peace of mind that your busy home’s faucets won’t go cold. The purpose of generators is to provide comfort, consistency, and of course, energy when the unexpected happens. An aging generator may not be able to provide these elements when you need them most. Take a look at generators from WES and consider replacing your “it might work” generator with an “it’s got my back” generator. Cozy. Beautiful. Efficient. If these words don’t describe your fireplace, it’s time for a change. With traditional, classic, and modern designs made to offer optimum efficiency and warmth, Washington Energy can help you select the right gas fireplace for your unique home and decor, and provide installation and removal. Stay warm (and stylish) this winter. Take stock of these items in your home and consider starting fresh with energy efficient solutions from Washington Energy Services. With 20% off, there’s never been a better time to replace your clunkers and become acquainted with lower energy bills and year-round comfort.